If you haven’t heard, male rompers are officially a thing. The internet is going nuts over the new style for men, and everyone has an opinion, be it positive or negative. But, before you start arguing whether this trend is modern and manly or tacky and tragic, shouldn’t you know why it’s gone viral and who started it? From where it all began to the reactions of consumers and brands, we have the low-down on the #RompHim fashion phenomenon. 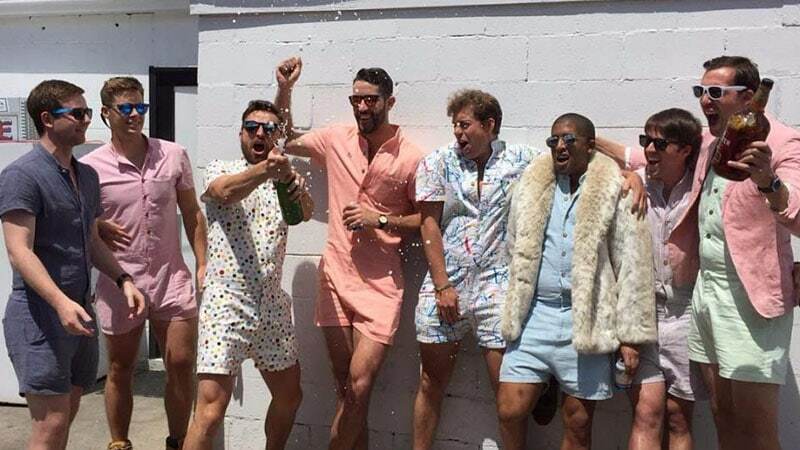 So, if you’ve been asking yourself why everyone is obsessing about the men’s romper trend, we have the answer, and after reading it, you can decide whether you think the look is revolutionary or ridiculous. 1 What is a Men’s Romper? What is a Men’s Romper? A romper is a garment that’s usually spotted on babies and young women at music festivals. Today, however, the romper is also a fashion option for gents. Also known as a playsuit, the one-piece design is now being touted as an easy summer option for men. Ideal for saving time when getting ready, rompers banish the need for picking out separate pieces by combining shorts and a shirt into one. They’re also perfect for numerous occasions, or so claims the brand responsible for beginning this trend. The statement style, which is also comfortable, can be worn to events and locations ranging from the beach, music festivals, and rooftop bars to pool parties, barbeques, and even on a stroll. The only requirement is that the gent wearing the romper is confident and comfortable with this style. 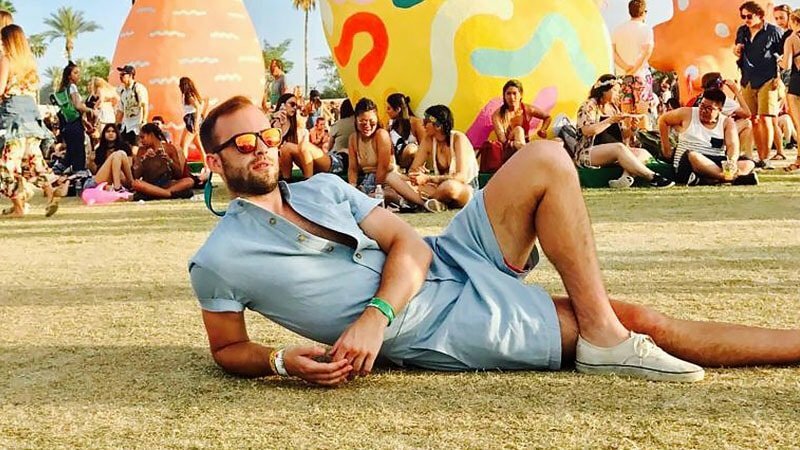 The men’s romper trend is all thanks to a new company called ACED Design and a product that it dubbed the RompHim. The team behind the inventive business and garment are a group of business school friends who wanted to bring something new to the world of menswear. So, the Chicago-based business created the RompHim and recently began a Kickstarter page to help fund the project. Since then, the brand and its rompers, which feature a zipper fly to make going to the bathroom more simple, have blown up and created a worldwide trend. The team at ACED Design have certainly achieved their goal to bring something new to the world of men’s fashion, but with all new things, some people love it, and others do not. As was to be expected, many people have made fun of the playful playsuit and its unique style, starting memes and making wisecracks. Some have even made jokes about the garment being the quickest way to become single while others have said that it’s “just wrong”. But, while many are having a laugh at the new menswear design, others are embracing it. The company’s Kickstarter campaign has already made over 30 times more than its initial US$10,000 goal and currently stands at an incredible $360,933. Also, whether people like the idea or not, they’re certainly talking about it. The male romper trend has gone viral in the past week and subsequently propelled the RompHim to instant fame. It’s not just the media and public who have taken note of the men’s romper trend. Other fashion brands have also noticed the popularity of the garment in its new menswear form. In particular, sportswear brand, Reebok has been quick to jump on board and announced a romper of its own, dubbed the ReeRomp. Although, it seems someone in the Reebok marketing department may just be having a little fun with this playsuit that’s “built for bros”. 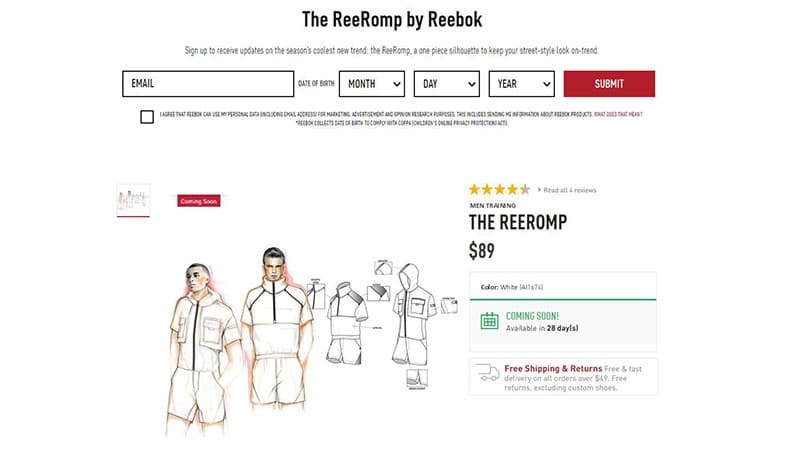 The rompers, which the brand is advertising in sketches on www.reebok.com, are not actually available for sale or pre-order but rather say “coming soon”, indicating that Reebok may just be having a laugh. But, while the label may be making a joke, other brands will undoubtedly take the idea more seriously after seeing the amount of money and interest garnered by ACED Design and the RompHim. If you’re a fashion-forward gent who likes the idea of a male romper and wants one to own, then all you need to do is visit the brand’s Kickstarter page and make a pledge. Although you can choose how much you wish to pledge, the amount will determine reward. For instance, if you pledge between US$25 and $94 and live in the U.S., you will receive a Team RompHim iron-on patch and sticker. But, if you pledge US$95 from anywhere in the world, then you’ll receive your very own RompHim to wear and love. $175 will get you two RompHims and a Team RompHim patch while for $255 you’ll receive three RompHims and the patch. 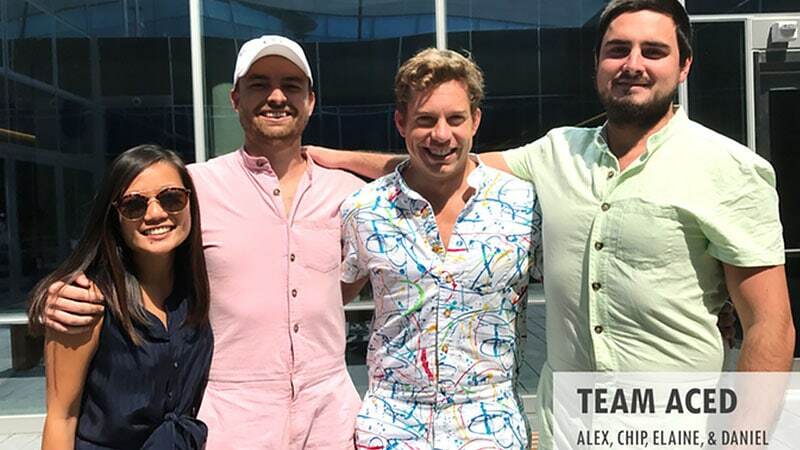 Of course, if you want to support the brand even further, you can always pledge $1250 and get to join the ACED Design team for a day and take home your own one-of-a-kind RompHim.